The best of fruit tea in one blend - balanced and refreshing, a bright red infusion with the taste of berries. "Red Berry Temptation" is a special treat and the perfect refreshment. Combines well with citrus, creamy and nutty flavors. 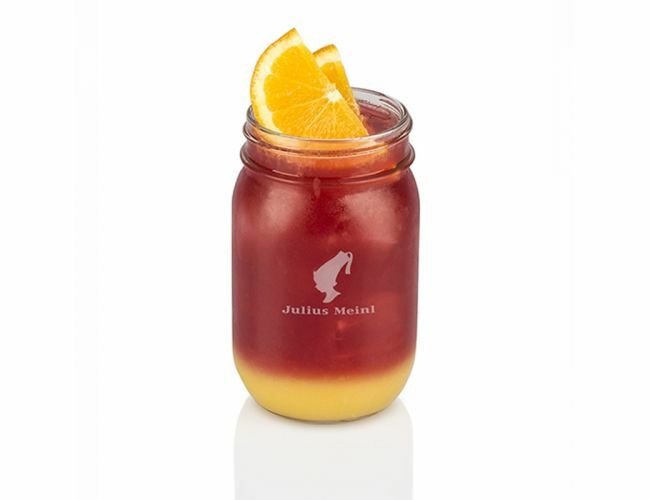 180 ml JM TEA on the ROCKS "Red Berry Temptation"
Dissolve the vanilla sugar in a spoonful of boiling water. Add almond syrup, amaretto, tea and orange juice. Stir and pour over ice. For a colorful separation of tea and orange juice in the glass, pour the orange juice into a glass first and add ice. Then pour the mixture of the remaining ingredients slowly and carefully over the ice.